Mothers Day is this Sunday, do you have a gift for your Mom already? My mother was sweet enough to save me the stress this year and told me to get her my Nike sneakers. I love it when I don't have to think! 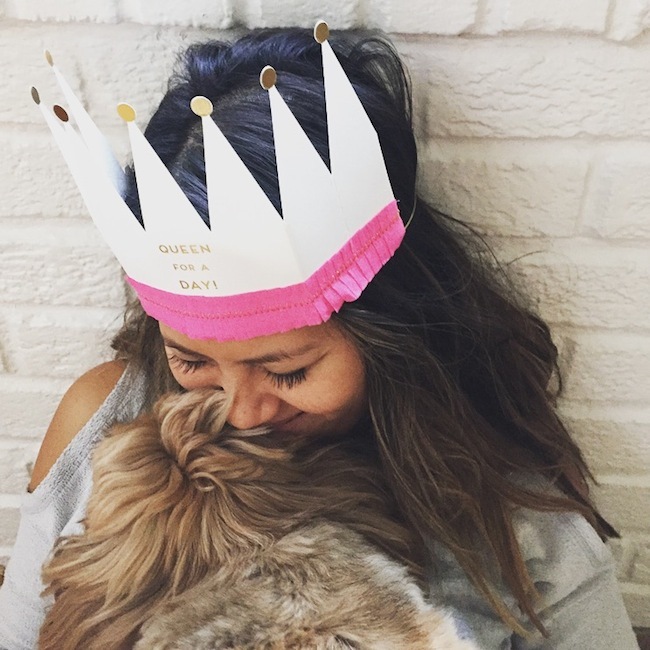 What did you get your Queen for a day? My gift this year is no surprise and nothing sentimental, which kind of irks me because I try to put some thought into gifts. However, this is special. 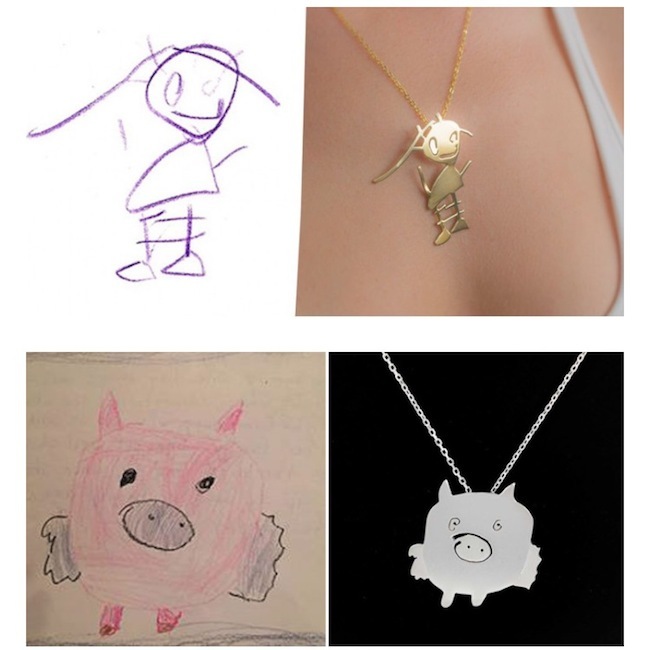 Tasarim Takarim is turning kids art into personalized jewelry. She takes the drawing and transpires the design into a necklace, brooch or cufflinks. Unfortunately I'm finding out about this too late to order in time for this Sunday. However good to keep on the back burner for a future gift...or for me! Cute right? I'm sold and getting a necklace for myself! HA. My kids are always doodling, and I keep a lot of their art work because I love the way they express life. I'm sure you probably have a huge selection to choose from too. The hard choice will be picking which doodle to go with! Hmmm…decisions, decisions. 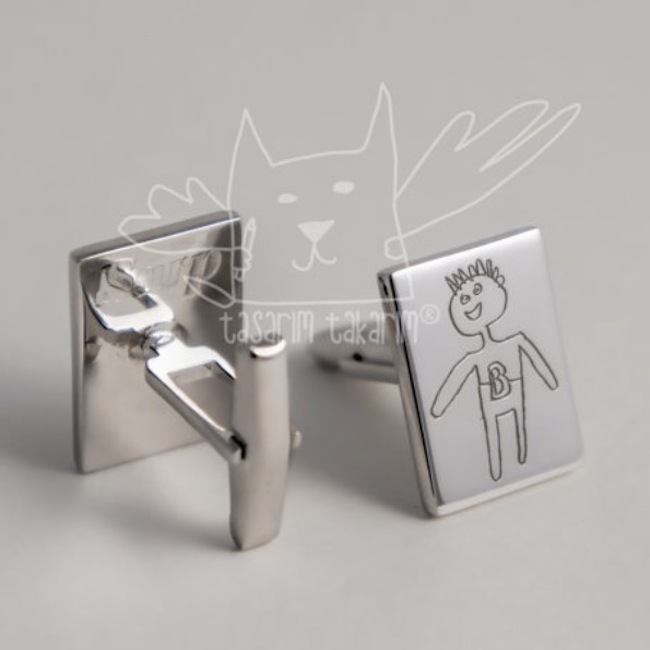 But hey, also remember Fathers Day is around the corner on June 19, 2016 and these cufflinks for your gentleman would be pretty nifty. Good news is if you submit a scanned image or photo of your drawing now I think the designer could have your order ready in time. Lead time to order on her website says 2 weeks + 1 week to ship. You've got over a month to get this gift in the works. Move it, because you know men are the hardest to shop for!